Fans of boundary-pushing experimental music have often been more likely to find those bands and musicians in the clubs of a metro area than on the radio. 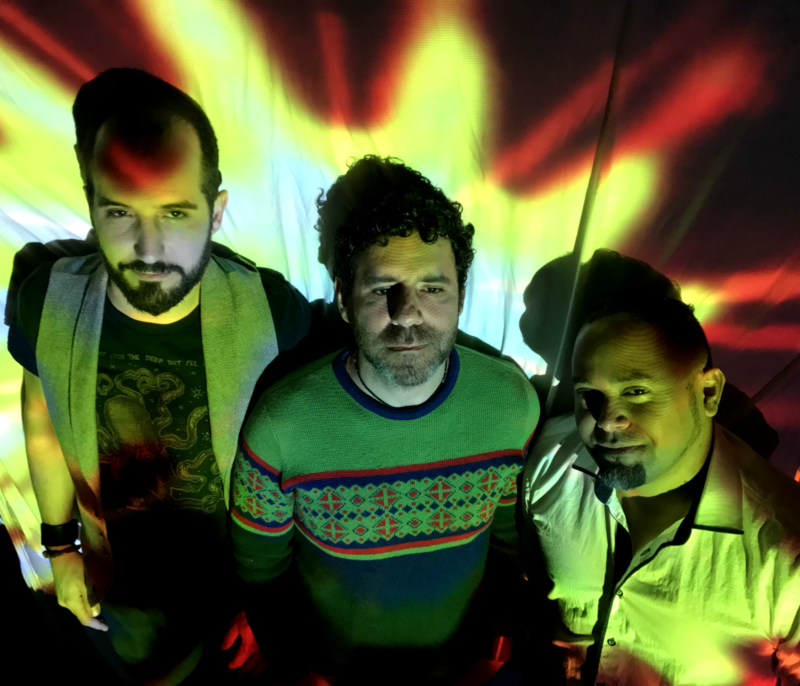 And while the Rogue Valley isn’t quite a major metro area, it’s right between two of the most adventurous music scenes in the country, making it an ideal spot to gas up for San Francisco’s experimental-rock trio Impuritan, who will be returning to Johnny B’s in Medford on Wed., April 5. The band’s vocalists and multi-instrumentalists Alex Eliopoulos and David Molina have decades of experience playing with various bands throughout the country. But they first came together in 2011 when Eliopoulos saw Molina performing his experimental solo project, Ghosts and Strings. At the time Eliopoulos was playing guitar and singing with San Francisco based shoegazer trio, Spiral Bombs, and had already begun crafting the songs that would wind up in Impuritan’s repertoire. But the seeds for this incarnation of the band were planted years ago, in South America, when Molina met drummer/percussionist Pepe Abad. Their latest album Everything is Magik, continues the trend of their previous releases by challenging the notion of what rock music can be. Their songs are elaborate, but not constricted by song structure, leaving plenty of space for improvisation. They have utilized multiple drummers, and occasionally drum machines, on their previous albums; Make It Look Like Nothing Happened and their debut EP, Highjacked Artifacts, Treasured Forms. But Everything is Magik is the first album to feature Pepe on drums. Impuritan may have been conceived in the studio, but they are a live band. They incorporate pre-recorded samples with live loops, instrumentation and vocals to create a lush backwash. Their use of samples and loops allows the musicians the freedom to stretch the limits of their musical abilities. Johnny B’s, 120 E 6th St.